I wonder if they still use 1cwt bags!! I remember my mum used to count them all in. You should see the Coal Porters on the golf course. They're always dropping into the bunkers! I think "Health and Safety" have reduced bagged burdens to 25 Kilogram (4 stone) loads. Cement, sand, plaster all come in these weights now. Looking at Kerenza's instagram page today revealed that she is has been on tour with Adele lately! According to her Twitter, Kerenza was supporting Adele at Glastonbury. Have you seen her impression of Esther the Wonder Pig? There are earlier posts of her touring in Europe with Adele. Her most recent twitter picture is a scene that looks vaguely familiar to me... though the landscape was decidedly brown in comparison when I saw it. 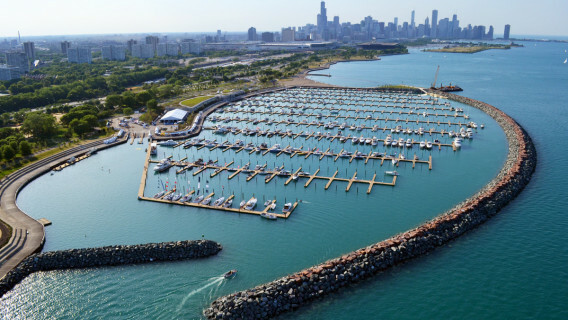 That's an aerial view of 31st Street Harbor on the shore of Lake Michigan. It has room for 1,000 boats! Well, I don't recall seeing that, but the view of the water and the city as we came in for a landing look familiar. It was a little grayer, and again, the grass and trees were all brown and bare. Very ugly compared to landing in the Evergreen state, I have to say. No wonder the Mamas and Papas wrote a song about all the leaves being brown and the sky being gray. Not that we don't get plenty of gray days here, and we do have brown leaves, but we also have lots of evergreens. In case comet is looking, I've untangled the pics for him. Though I've just been reminded why I haven't done that here; the pics turn out very large! 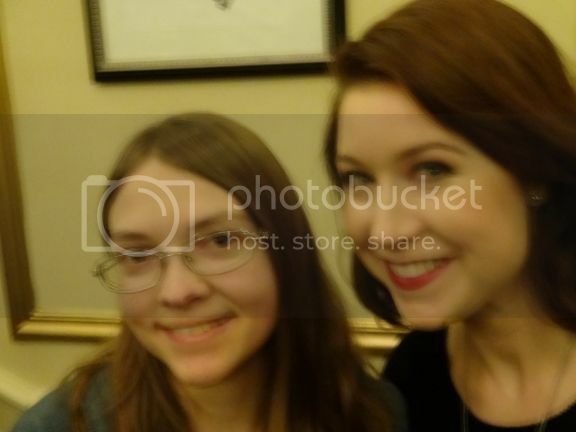 Okay, her Vancouver pic was too gorgeous not to share, but it's waayy too long to post as a regular photo, sorry comet! I do remember when I was posting pictures from concerts through Photobucket they would always seem to be huge at the computer they were being processed from but other members were seeing them as normal within the page boundries. I see the panoramic picture Richard has posted and it is centered perfectly on the page with equal borders on each side, the same width as the "Farmers Market" picture Libby has posted, but the panoramic picture is less than half the height of the Farmers market picture. those are the sizes I see on a 21 inch screen.